If you walk down Sheikh Mohammed bin Rashid boulevard in Downtown Dubai, you’ll find a selection of numerous, albeit highly priced restaurants (Here’s an amazing Japanese fine dining option if you’re interested). This is the main reason Barbecue Delights have the rest of them beat. Offering both a buffet as well as a la carte, Barbecue Delights has mostly a combination of Pakistani and Afghani cuisine. F.C. and I decided to try their sharing platter (in half the quantity which serves 2-3 people) called B.D.’s special platter. 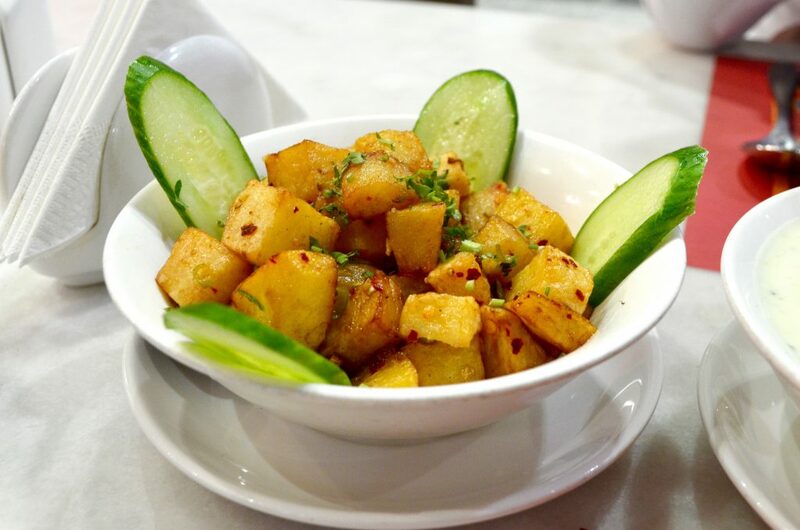 We ordered some batata hara earlier- (spiced potato ) but quickly realised this was simply not the place to have it. It was mediocre. When the food arrived though, we were both salivating in the smells. The platter comes with a variety of options over a spread of delicious kabuli pulao complete with the cinnamon and raisins. We enjoyed every piece of meat, which includes massive mustard prawns, a spicy (too spicy for F.C.) fish tikka, fall-off-the-bone mutton ribs, and succulent afghani tikka. F.C. 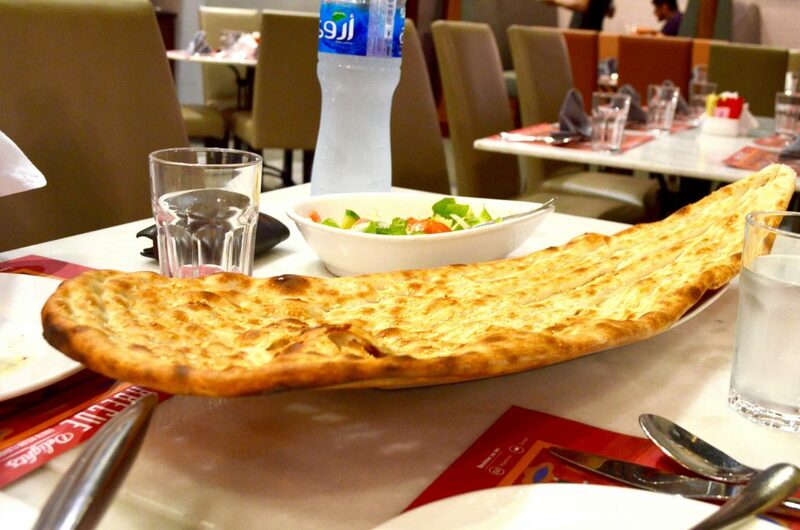 was delighting in the massive naan that came out fresh and warm. We couldn’t finish it though and had to pack most of it. the quantities are generous, so I think the half special platter would be sufficient for a minimum of 3-4 people. At AED 240, it’s a steal! They currently also offer discounts on Emirates NBD cards and are on The Entertainer. For dessert, we opted for the gulab jamun and shahi tukray. 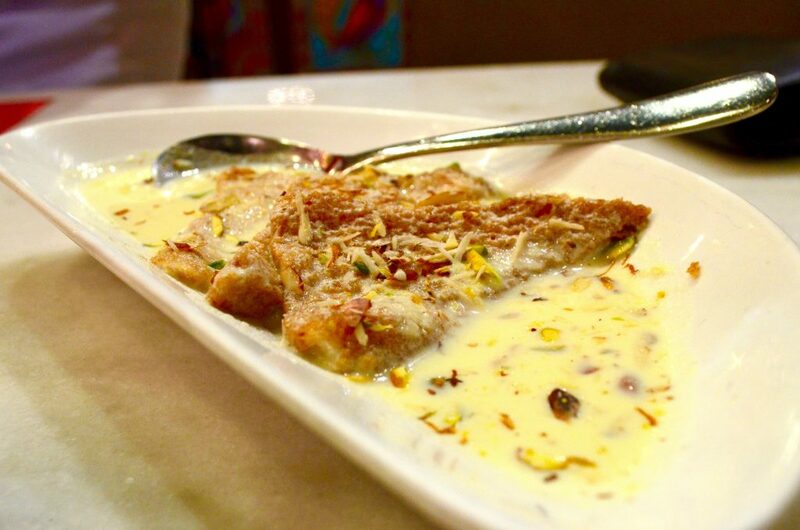 I must say the shahi tukray was not up to the mark as it was exceedingly sweet and too soggy. 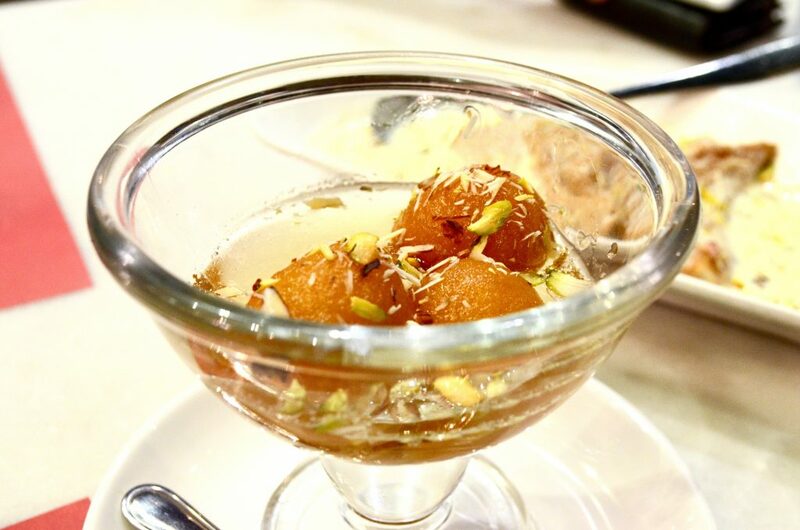 The gulab jamun was nice, warm and comforting. F.C. claims he likes them cold better. I just shook my head at the horror of being confronted with a cold gulab jamun. He said I was being dramatic. Hmpf. Overall, I think the service at Barbecue Delights was attentive, but somehow an order for kheema naan (which I was really looking forward to) was forgotten. The staff was very open to feedback. DISCLAIMER: I was invited to review a meal in exchange of a review. All thoughts and opinions are my own. I think this is a fantastic place to bring your foodie squad without breaking much of your pocket. Foods looks delicious also! Looks so yummm. Thanks for the tip about sticking to Pakistani or Afghani flavours! Too bad the batata & shahi tukda didn’t live up to the expectations.